Regions are facing several challenges triggered by enforced structural change and increased interdependence of economic processes – as a result of an intensified globalization. As a consequence, there are simultaneous processes of growth, stagnation and decline across the globe. 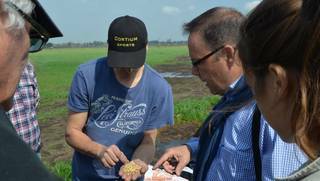 The research focus of our working group are regions at different development levels. Innovation: Technological upgrading along global value chains in varying regional innovation systems from world cities to rural areas. 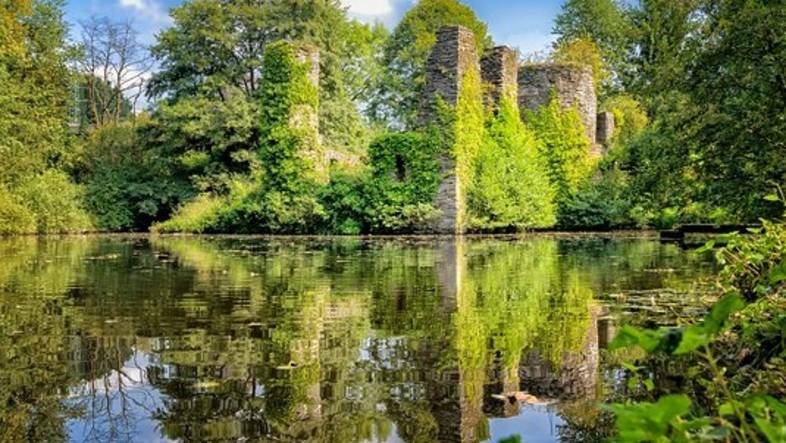 Transformation: Regional effects of transformation processes in those countries which are characterized by both a transition from a planned to a market economy and by drastic institutional changes. Vulnerability: Impacts of natural risks on the relationship between people and their environment in order to get a better understanding of the dynamics of urban poverty as well as to develop sustainable strategies to overcome social and regional disparities. 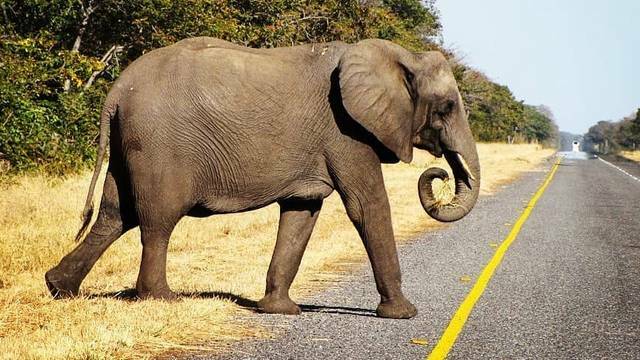 The regional focus is on Europe, Southeast and East Asia and Africa, with current research projects in Vietnam, Thailand, Indonesia, China, Brazil, South Africa, Namibia, Zambia, Botswana and Argentina. On March 11, 2019, Javier Revilla Diez and Moritz Breul organized an excursion for master students of the Institute for Housing and Urban Development Studies of the Erasmus University Rotterdam. The excursion was dedicated to the economic structural transformation of the district Mülheim in Cologne. 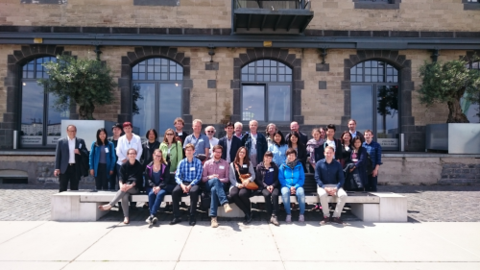 Besides the former sites of the Deutz AG, which are currently being planned, the excursion group visited the successfully converted commercial campus Carlswerk. In March 2019, Carolin Hulke presented at the conference "Resources for a social-ecological transformation" at the University of Innsbruck first results of her doctoral thesis. Under the title "Conflicting conservation? Regional agricultural value chains and possibilities of participation in Northern Namibia" she showed land-use conflicts and socio-spatial effects of environmental protection forced by the government, as they contradict the needs of the population in the Zambezi region widely dependent on agriculture. Bottom-up strategies of the local population therefore refer to regional value chains with limited possibilities for participation in commercialized agriculture. 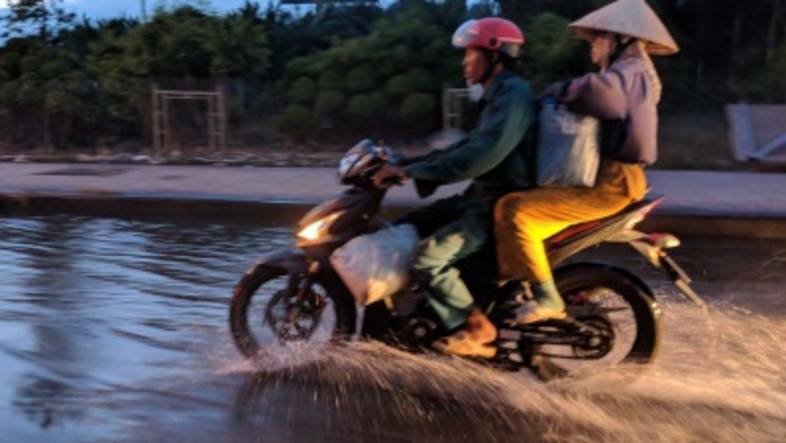 In October and November 2018, Roxana Leitold was on an exploratory trip to Vietnam and prepared her research on the vulnerability and adaptation of firms to flooding in the Ho Chi Minh City metropolitan area. Contacts were established with potential project partners, authorities and non-governmental organisations. 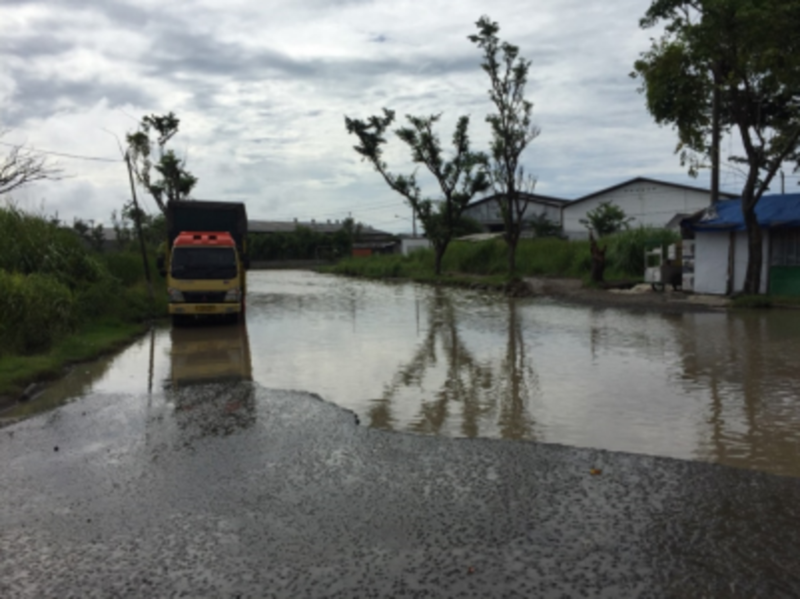 In close cooperation with the University of Economics and Law (UEL), Roxana has also conducted some interviews with flood-prone companies in the metropolitan area of the megacity. 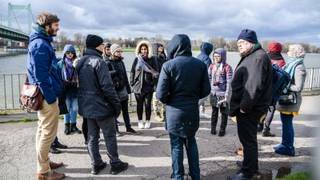 Further on-site interviews are planned for February and March 2019. 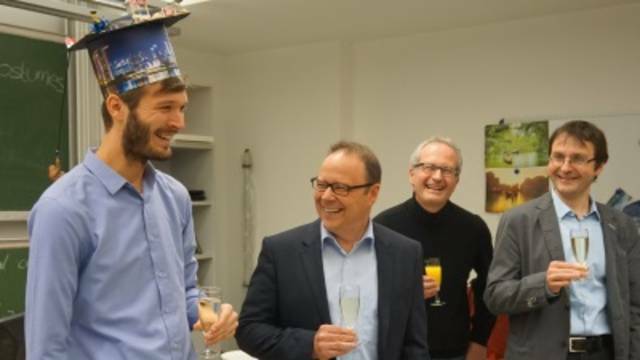 The working group congratulates Moritz Breul on successfully defending his doctoral thesis entitled "Gateway Cities in Global Production Networks: The role of territorial intermediaries in the oil and gas industry for regional economic development in Southeast Asia". As part of his dissertation, Moritz Breul investigated how certain cities integrate economic activities of neighboring regions into global production networks and what effects this spatial organizational structure has on regional economic development. 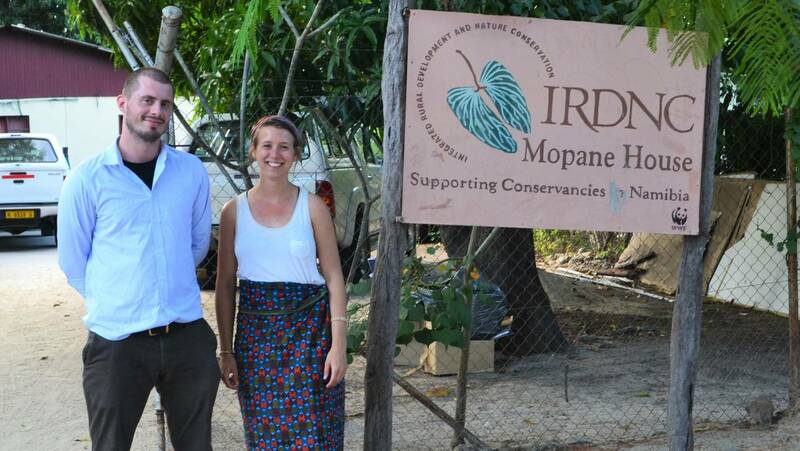 Carolin Hulke and Linus Kalvelage have completed the first phase of data collection in the Zambezi region in Namibia. From September to mid-November 2018 they worked in close cooperation with the partners at the Wildlife Management and Ecotourism Department of the University of Namibia (UNAM) campus in Katima Mulilo on their respective research questions. Please find here more information. 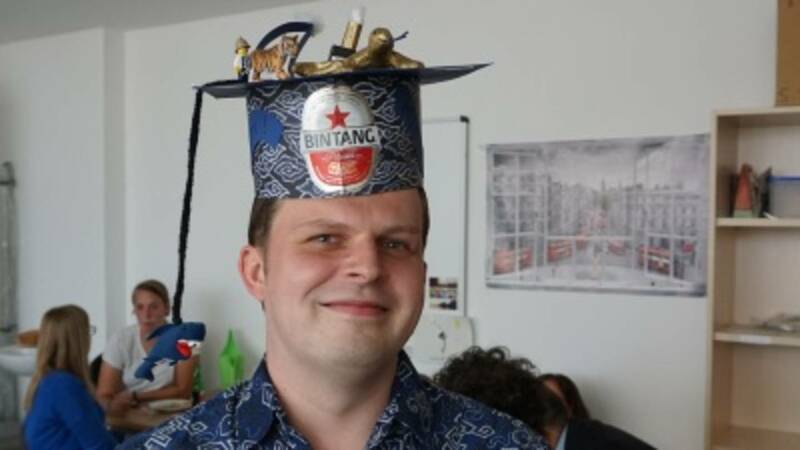 Thomas Neise successfully defended his PhD-thesis about „Firms’ adaptation strategies to floods and their potential implication on regional economic development – Insights from Jakarta and Semarang, Indonesia” on the 11th September 2018. In his PhD-thesis, Thomas Neise analyzed which flood adaptation strategies manufacturing firms develop in Jakarta and Semarang. 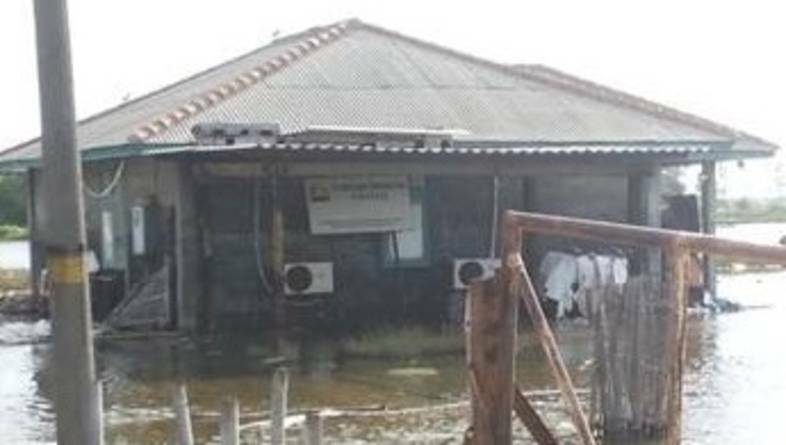 He also investigated whether small and medium-sized firms are willing to cooperate to implement collaborative flood risk reduction measures. 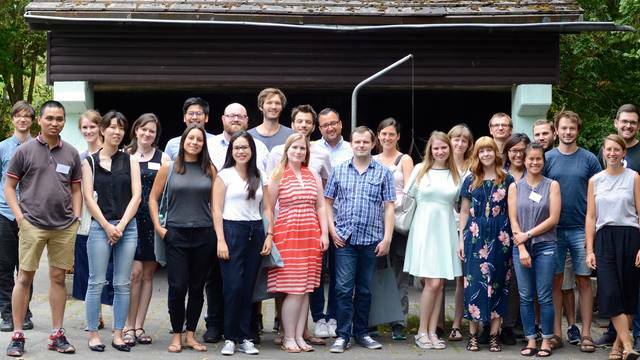 Moritz Breul and Thomas Neise organized the 3rd Workshop of the "Young Economic Geographers Network" (YEGN) in Lindlar from 20th to 22nd July 2018. The aim of the workshop is to network, to exchange ideas and perspectives, to communicate and to build long-lasting relationships - beyond fields and nations. Dissertation projects are presented and discussed in a casual and relaxed atmosphere. Please find here more information. In May 2018, Carolin Hulke and Linus Kalvelage were on their first exploration phase in Namibia and have prepared the research within the project "Future Rural Africa". Potential project partners in Windhoek, Walvis Bay and the Kavango-Zambezi region were acquired at the University of Namibia as well as in governmental and non-governmental organizations. The team will investigate the linkage of tourism and agricultural value chains along the Trans-Caprivi Highway, which is supposed to function as a growth corridor in the region. The kick-off symposium on 9th April 2018 marked the official start of the Collaborative Research Center 228: "Future Rural Africa: future-making and social-ecological transformation". This cooperation between the University of Bonn and the University of Cologne was made possible by the funding of the German Research Group (DFG). 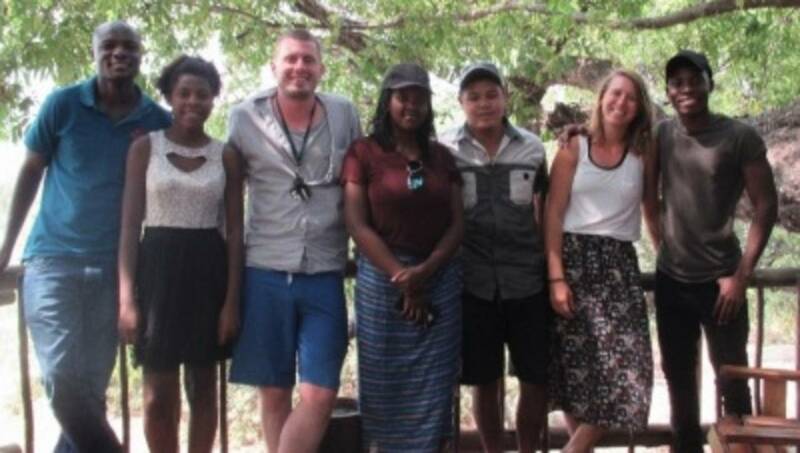 We are pleased to be able to work with our working group on this forward-looking project within the framework of the subproject C01: Future in Chains and are eagerly awaiting the research results from Namibia and Tanzania. 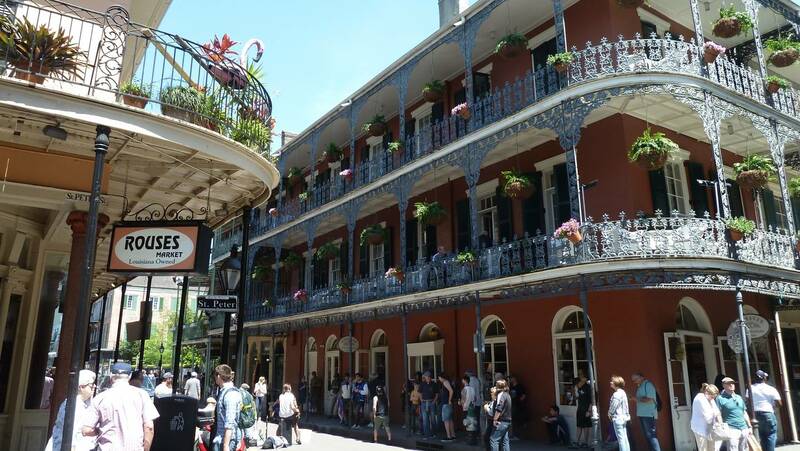 On 12th of April 2018, Moritz Breul presented a study titled “World Cities as Gateways: Supranational Hubs, National Primary Cities and Specialised Outliers” at the Annual Meeting of the Association of American Geographers (AAG) in New Orleans. It is a comparative study that compares the different roles of Singapore, Cape Town and Buenos Aires in the oil and gas industry. Die Arbeitsgruppe Wirtschaftsgeographie und Gobaler Süden freut sich, das dritte Treffen des "Young Economic Geographers Network (YEGN)" vom 20. bis 22. Juli 2018 in Lindlar zu organisieren. Das YEGN bietet eine Plattform zum internationalen Austausch von Promovierenden der Wirtschaftsgeographie und verwandter Disziplinen. Mit Bezug zur Global Conference on Economic Geography in Köln befasst sich das YEGN diesmal mit "Unequal Contours of Development in the Global South". Wir freuen uns über Ihre/Deine Abstracts; Einreichungsende ist der 15. März. Weitere Informationen sind hier zu finden. The working group congratulates Jöran Wrana on completing his dissertation "Multinational Enterprises, Corporate Social Responsibility, and Regional Institutional Change in Vietnam". Jöran Wrana analysed the influence of multinational enterprises on the quality of vocational training in Vietnam. The positive impact this was supposed to have is limited, as the needs and interests of the private domestic companies were not sufficiently taken into account. Carolin Hulke, our new Ph.D. student, was in the rural areas of Central Vietnam to conduct research for her master thesis. She interviewed 18 smallholders and decision-makers in four villages and combined quantitative analysis of an extensive dataset of three provinces (www. TVSEP.de) with her own results of qualitative research. The thesis examines the smallholders' joint adaption strategies against external risks and by what factors these are influenced, and if different forms of social capital are a key factor to secure long-term success of these strategies. 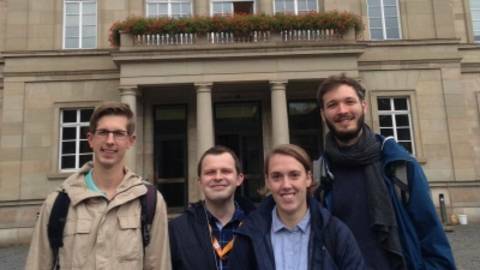 Thomas Neise, Jöran Wrana, Moritz Breul and Roxana Leitold were taking part in the German Conference of Geography 2017 in Tübingen in October 2017. Moritz Breul explained in his talk if outlying areas equipped with resources are integrated into global production networks, new agglomeration of industries do develop. Jöran Wrana illustrated that the concept of the global production network can be stronger underlined if it is combined with the concept of proximity. Thomas Neise presented first results of his scenario-based experiments on the willingness of small and medium-sized industrial companies to invest in joint measures of flood protection in Jakarta and Semarang. Professor Revilla Diez and eight students of the Institute of Geography took a field trip to Argentina from 19th August until 2nd September, 2017. They were supported from colleagues of the Universidad San Martin in Buenos Aires in organising the trip and conducting interviews. The excursion was striving to gain insights into the production of soya beans in Argentina and into the influence that is exerted by stock exchanges for food, international capital markets and financial instruments. The working group congratulates Thu Nguyen Xuan and Franziska Sohns on completing their dissertations. 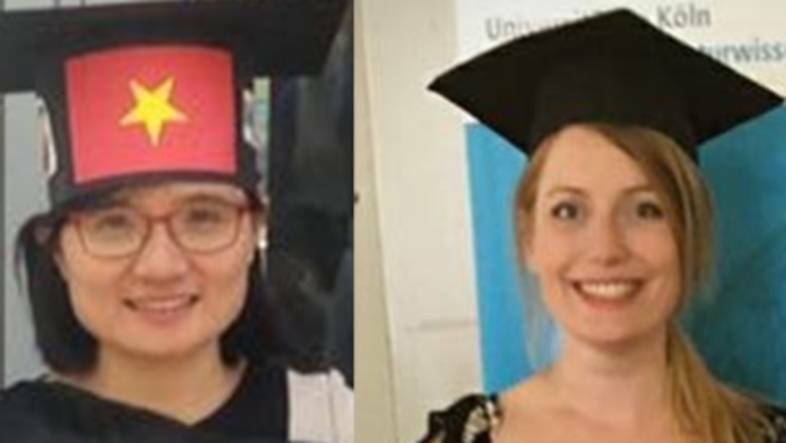 Thu Nguyen Xuan did her PhD on industrial change in Vietnam following the Doi Moi reforms; Franziska Sohns did her dissertation on micro-entrepreneurship in rural Vietnam. We wish them all the best for the future! 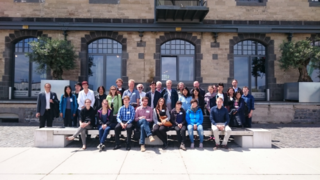 From 20th to 23rd August 2017, Thomas Neise took part in the conference "Resilience 2017 - Resilience Frontiers for Global Sustainability" in Stockholm. He presented his first results of the scenario-based experiments about the engagement of small and medium-sized firms in collective flood risk reduction measures. This investigation is part of our research project: "Natural hazards and firms' decision-making under risk between individual and regional adaptation strategies in Indonesia." 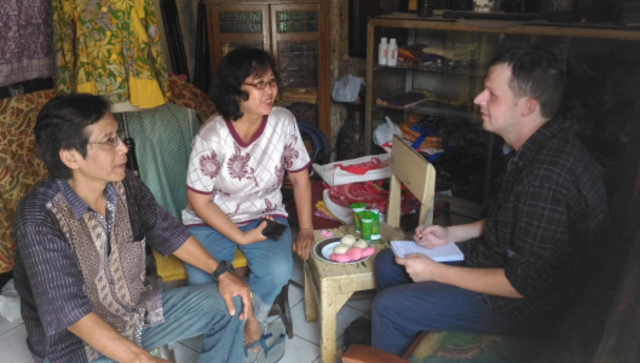 Moritz Breul spent three months in Indonesia and Vietnam, from March until June 2017, within the context of the research project ""Gateway Cities and their Hinterland: Global Cities from the Global South as Nodes in Global Commodity Chains", funded by the DfG (German Research Foundation). He interviewed various managers of the oil and gas industry in these two countries. This project aims to broaden the understanding about the spatial hinge function of certain cities. In those so-called "Gateway Cities" there are economic activities located that integrate their region into global commodity chain. Please find here more information. At 10th of April 2017, Thomas Neise and Moritz Breul presented preliminary research results from their respective research projects in Indonesia at the Economic Research Center of the Indonesian Institute of Sciences (LIPI). In his presentation "'Beyond '"rope, dope and soap"'? An assessment of domestic capabilities in the Indonesian oil and gas industry'" Moritz Breul outlined the features of Indonesia's integration in the global oil & gas value chain. In his presentation he identifies mechanism that have led to an enhancement of local capacities as well as factors that inhibit an upgrading. Thomas Neise shows in his presentation "Firms' contribution to flood risk reduction - scenario-based experiments from Jakarta and Semarang, Indonesia" under which conditions small and medium-sized firms are willing to contribute to flood risk measures. Prof. Dr. Javier Revilla Diez and Franziska Sohns attended the "AAG Annual Meeting 2017" in Boston from 4th to 9th of April 2017. They presented current research results from their working paper "Who survives over time?" 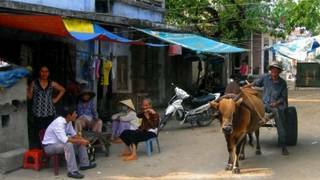 - a multi-level survival Analysis of microenterprises in rural Vietnam." By using multilevel analyses, the working paper shows that access to credit institutions, local market potentials and access to interregional markets have a positive impact on the survival probability of micro-enterprises in rural Vietnam. In April 2017, Thomas Neise and Fabio Pruß participated in the 4th TWIN-SEA Workshop in Bali, Indonesia. Thomas Neise presented results of his research "Firms' contribution to Flood Risk Reduction: Scenario-based Experiments from Jakarta and Semarang". He analyzed whether small- and medium-sized firms are willing to contribute to collective flood risk reduction measures. Fabio Pruß presented the results of his bachelor thesis: "Impact of Natural Hazards and Climate Change in Semarang, Indonesia - an Economic Damage Model". He estimated the (direct) economic damage caused by land subsidence and rising sea levels for the years 2030 and 2050 in the Indonesian city of Semarang. Here you will find more information. 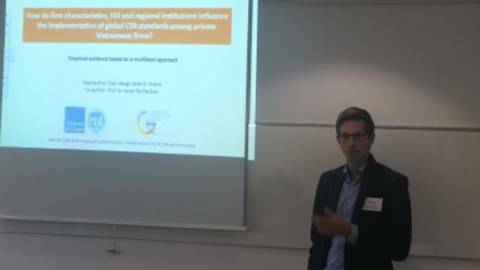 From 6th to 8th of April 2017, Jöran Wrana has attended the 44th AIB (UK&I) & 6th Reading IB Conference. He presented current results based on his working paper 'How do firm characteristics, FDI and regional institutions influence the implementation of global CSR standards among private Vietnamese firms?'. Jöran Wrana revealed through a multilevel analysis that regional institutions positively influence the adoption of such standards, whereas the spatial proximity to MNEs has a negative impact. Jöran Wrana has participated at the '19th university days of vocational education' at the University of Cologne, Germany. In his presentation 'Who benefits from pilot projects based on foreign skill formation systems in Vietnam? ', Jöran Wrana has pointed out why local manufacturing enterprises neither join nor adopt novel cooperative training approaches with local universities or vocational colleges, recently set up by MNEs in Vietnam's Red River Delta. 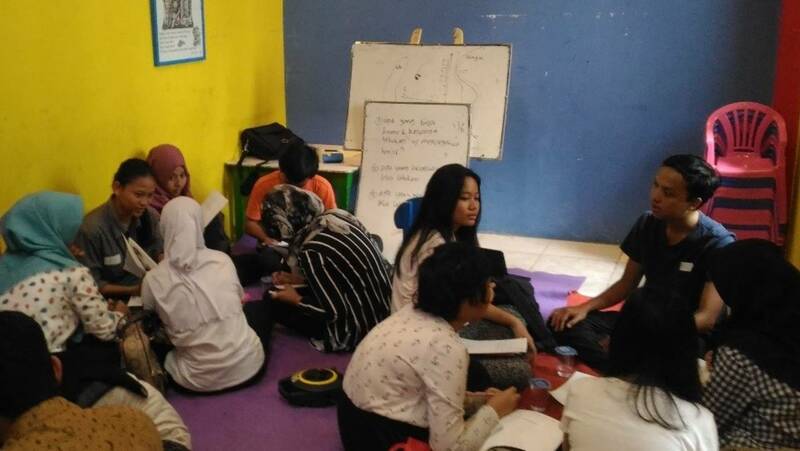 In November 2016, Thomas Neise was invited to support voluntarily the activity entitled "Connecting Jakarta - Writing Workshop and Discussion about Flood-proof District" at Rumah Muara, South Jakarta. 22 students from a Junior High School participated in the workshop. Together with Thomas, the pupils were discussing social issues affecting their area. Particularly how the neighborhood can reduce the flood risk was elaborated. The pupils were so enthusiastic since they had unpleasant experiences (e.g. damage of house interior) due to pluvial floods in South Jakarta. At the workshop session, Thomas shared his knowledge and provided an overview of the working group research project about flood exposure in Jakarta and Semarang. Please find here more information. Jöran Wrana has participated at the annual ‘International Conference on University-based Entrepreneurship and Regional Development: Theory, Empirics And Practical Implementation (ICUBERD)’ at the University of Pécs in Hungary. In his presentation ‘From Co-Evolution to Proto-Institutions? Examining the role of universities for the diffusion of new institutions’, Jöran Wrana has pointed out how Vietnamese universities can foster the diffusion of new institutions into the regional economy by enhancing their collaboration with local enterprises. 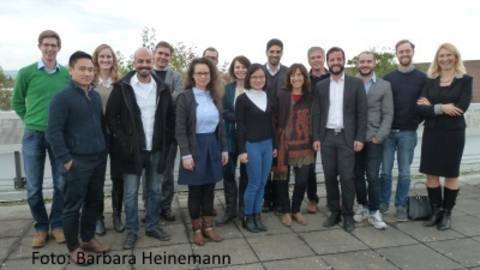 Jöran Wrana and Thu Nguyen have participated in the 2nd FDI Workshop of the Johann Gutenberg University in Mainz. Jöran Wrana has presented latest research results. He shows how multinational enterprises try to institutionalize general soft skills and firm-specific technologies and technical skills through CSR projects at partnering universities. Thu Nguyen has presented current outcomes on the impacts of buyer-supplier relationships between multinational enterprises and vietnamese firms. She demonstrates why Vietnamese suppliers are restricted in their upgrading activities in the Red River Delta. 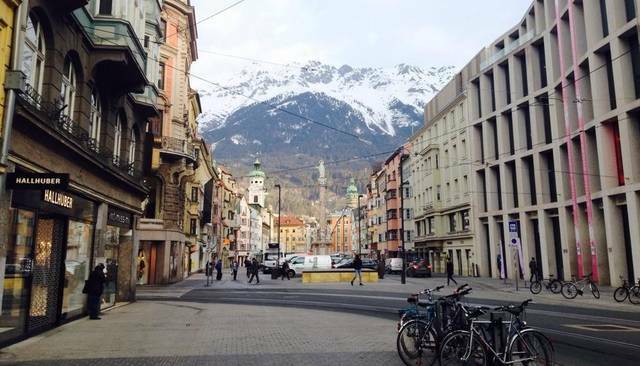 Recently Franziska Sohns gave an interview to the American Geographical Society. She talked about the main results of the recently published paper "Self-employment and its influence on the vulnerability to poverty of households in rural Vietnam – A panel data analysis". The paper highlights that the effect of becoming self-employed on poverty reduction is context-specific and depends on the regional economic circumstances. Hence, becoming self-employed can help rural households escaping poverty, but only if they are located in a regional economic environment that is characterized by ongoing structural change and offers economic opportunities. 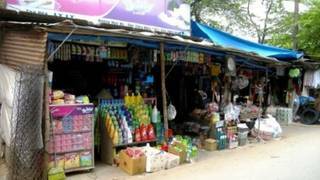 In very poor regions dominated by agriculture, self-employment does not help households to escape poverty. 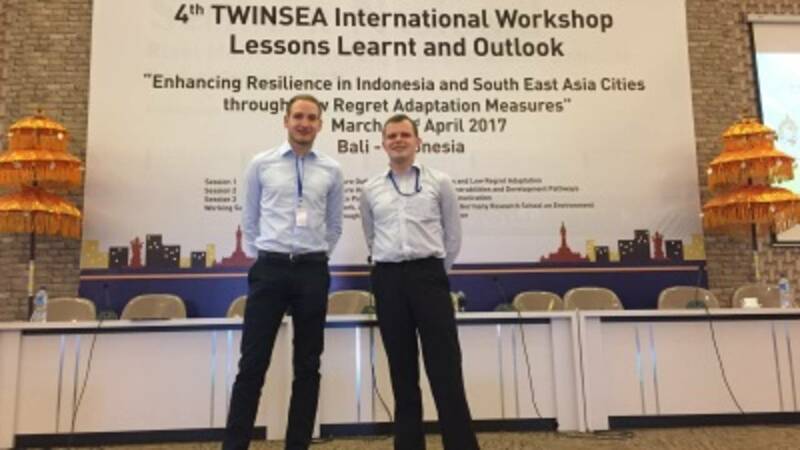 In Oktober 2016, Moritz Breul and Thomas Neise took part at the “First International Conference on Social Sciences and Humanities” from our research partner, the Indonesian Institute of Sciences (LIPI), in Jakarta. 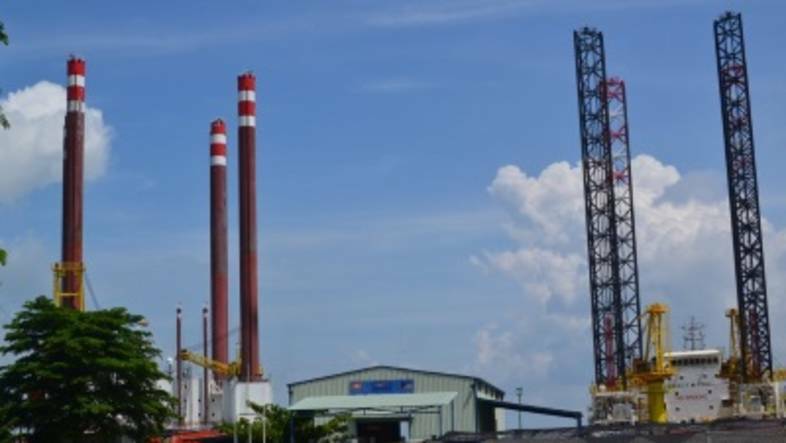 Moritz Breul presented findings from a study on the regional role of Southeast Asian cities in the upstream segment of the oil and gas value chain. The study reveals which cities integrate peripheral sites of extraction into global economic processes in different ways. Thomas Neise presented his empirical findings about the exposure to flood and adaptation strategies of the manufacturing sector in Jakarta and Semarang, Indonesia. Under direction of Prof. Dr. Revilla Diez and Mr Joeran Wrana, eight Master’s degree students went to Guangzhou, South China in September 2016. They attended a summer school at the Sun Yat-sen University. The summer school was part of the thematic international network “Remapping the Global South“ (funded by DAAD with means from BMBF). In cooperation with Chinese students the proceeding transformation of the food retail sector was analyzed. The focus of the research laid on supermarketization – the retail shift towards supermarkets. For more information, please click here. From September to November 2016 Moritz Breul carried out the first field phase for his doctoral thesis in the DFG-funded research project "Gateway Cities and their Hinterland: Global Cities from the Global South as Nodes in Global Commodity Chains". The project examines the intermediary function of Singapore in the oil and gas value chain as well as the developmental consequences for the ‘Hinterland’. 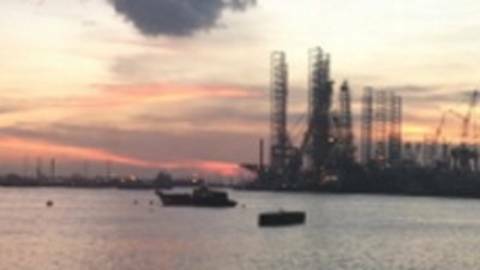 During his stay in Singapore, Moritz Breul has been able to conduct interviews with various actors along the value chain. The research stay was supported by our partner the Global Production Networks Centre at the National University of Singapore (GPN@NUS). The research group has organized the annual meeting of the working group of South East Asia at the 2nd and 3rd of July together with the research group Urban and Sozial Geographie. 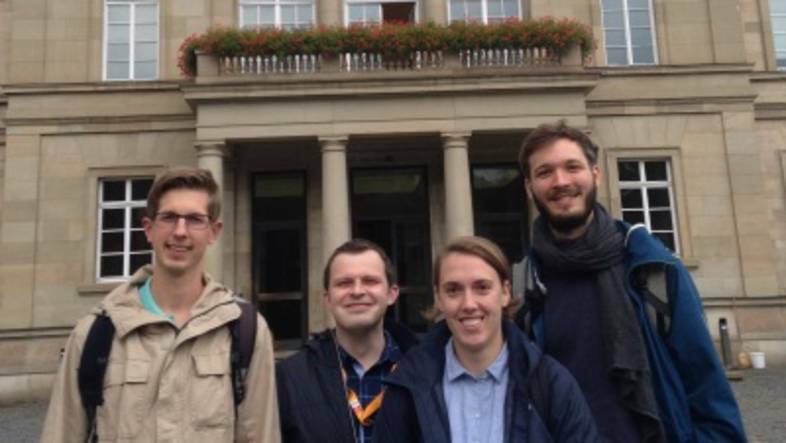 Amongst others, Thomas Neise, Franziska Sohns, Moritz Breul and Jöran Wrana presented the progress of their promotion project, Fabio Pruss presented first results of his undergraduate thesis. Thomas Neise is staying in Jakarta and Semarang, Indonesia, in order to conduct interviews with Indonesian industrial companies and to collect data for his doctoral thesis "Natural Hazards and Firms Decision Making under Risk between Individual and Regional Adaption Strategies in Indonesia". 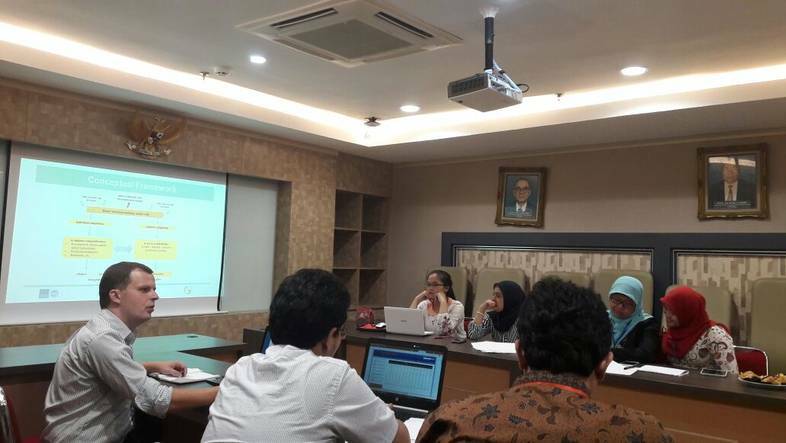 Besides, he presents first results at the conference "New Regional Formatins" at the University Gadjah Mada Yogyakarta and the WIN-SEA Workshop at LIPI, Jakarta. This research stay is supported by our partner LIPI (Indonesian Institute of Science) and the University Indonesia. Fabio Pruß is staying in Indonesia for some research activities and in order to collect data for his bachelor thesis "The Impact of Natural Hazards and Climate Change on Semarang, Indonesia – An Economic Damage Model". 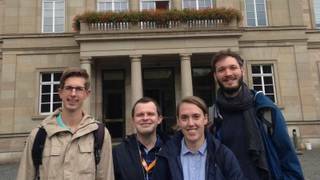 Besides, he participates in two conferences, attends interviews with Thomas Neise and benefits from a lively exchange with many other colleagues. Professor Revilla Diez gives a lecture entitled „Entrepreneurship and regional development in Asia – the case of Vietnam“ within the scope of the master program “Local Economic Development” of the London School of Economics and a second lecture „Vietnam 30 years after Doi Moi – Achievements and Challenges“ at the conference “Geographies of the Global South: methods, challenges and representations“ at the School of Geography in Dublin. On the occasion of the celebration of the started cooperation between the Global South Studies Center, University of Cologne and the Regional Center for Regional Resources, Indonesian Institute for Science (LIPI), Prof. Dr. Revialla Diez hold a lecture about "Entrepreneurship and Regional Development in Asia - the Case of Vietnam" in Jakarta, Indonesia on the 31th of August 2015. We are looking forward to a strong, long-term cooperation between LIPI and our working group. Franziska Sohns and Jöran Wrana have succesfully participated in the the "4th Global Conference of Economic Geography" at University of Oxford, by presenting their current papers. Franziska Sohns: "Which villages are good seed beds for entrepreneurship in rural areas of developing countries?" Jöran Wrana: "Can Multinational Enterprises introduce new institutions of host countries?" Dipl.-Geogr. Franziska Sohns participated in the 8th Summer Conference in Regional Science 2015 at the second und third of July 2015 in Kiel. She presented her currant working paper "Self-employment and its influence on the vulnerability to poverty of households in times of crisis in rural Vietnam – A panel data analysis". The research group participated in the annual meeting of the working group of South East Asia at the 27th of june in Duisburg. 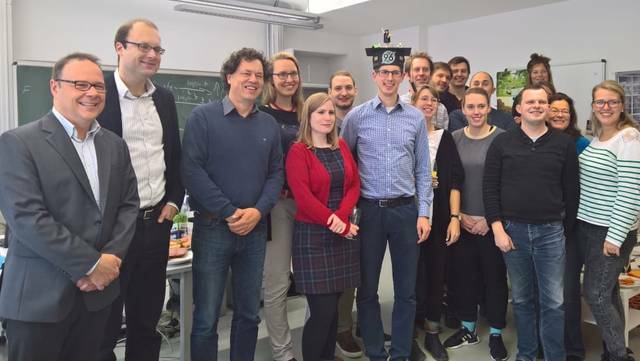 Amongst others, Moritz Breul, Jöran Wrana, Thomas Neise, Franziska Sohns, Hung Nguyen Trung uns Thu Nguyen Xuan presented the progress of their promotion projects. "What determines Multinational Enterprises to train their employees in Vietnam? A multilevel perspective". Moritz Breul has succesfully participated in the "Global Production Networks and New Contours of Development" Early Career Workshop at the University of Manchester at the 20th of June 2015. The research group participated in the annual Regional Studies Association Conference in Piacenza from 24th. untill 27th. of May 2015. Dipl.-Geogr. Jöran Wrana gave a lecture on "Labour training as a channel to transfer new institutions into host regions?" Dipl.-Geogr. 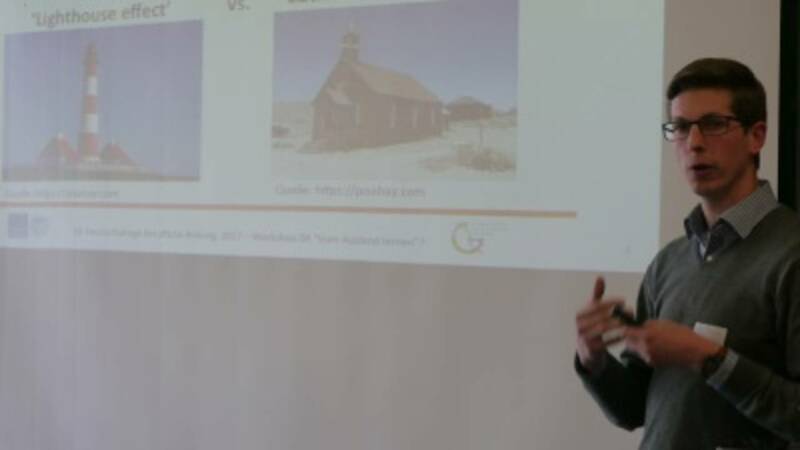 Franziska Sohns gave a lecture on "Which villages are good seed beds for entrepreneurship in rural areas of developing countries?" Prof. Dr. Javier Revilla Diez and M. Sc. Thomas Neise participated at the TWIN-SEA Workshop at the 23rd and 24th of November in Jakarta. 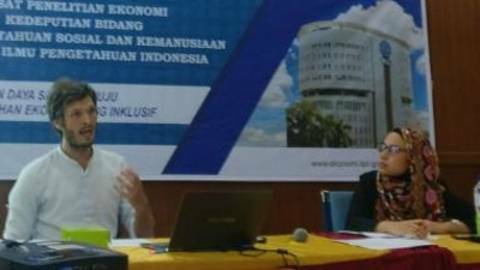 They gave a lecture on: „Firms’ Decision-Making under Risk and Regional Adaptive Resilience in Indonesia“. 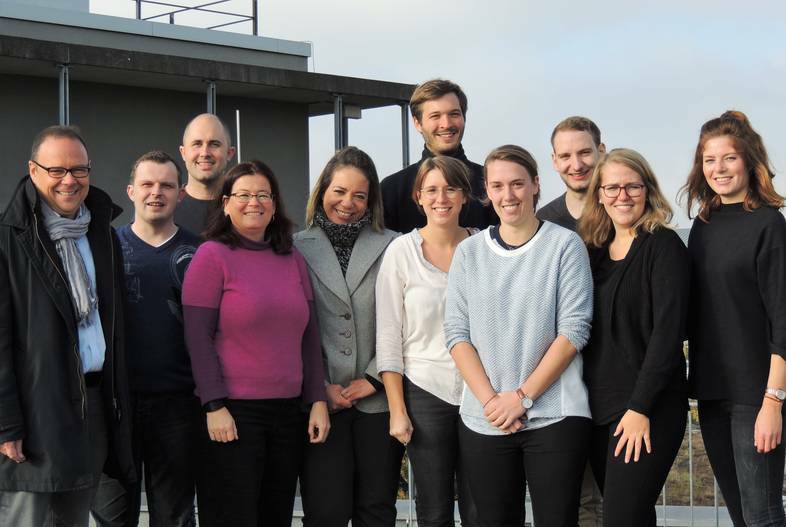 We are glad to invite you to the 30th annual meeting of the working group of Industrial Geography in Wiesbaden-Naurod at the 12th and 13th of November 2015. We are glad to welcome M.A. Moritz Breul as a new research fellow in our research group. The research group has organized the annual meeting of the working group of South East Asia at the 14th and 15th of november togehter with the research group Urban and Sozial Geographie. 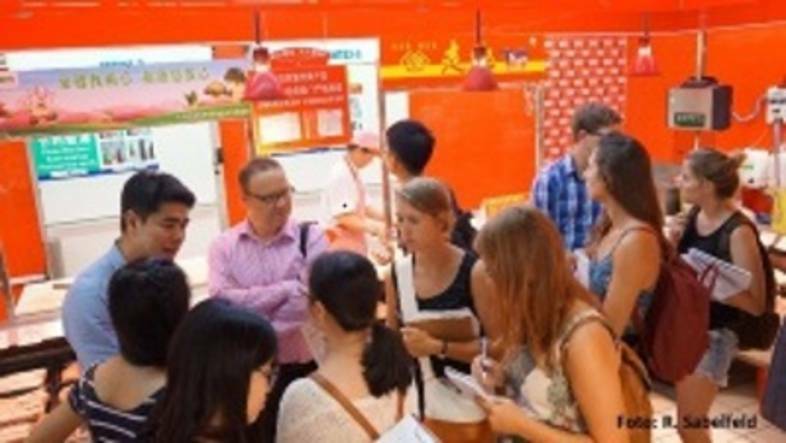 Amongst others, Thomas Neise, Franziska Sohns, Hung Nguyen Trung uns Thu Nguyen Xuan presented the progress of their promotion projects. The research group participated in the annual meeting of the working group of Industrial Geographie in Wiesbaden-Naurod at the 09th and 10th of October 2014. Dipl.-Geogr. 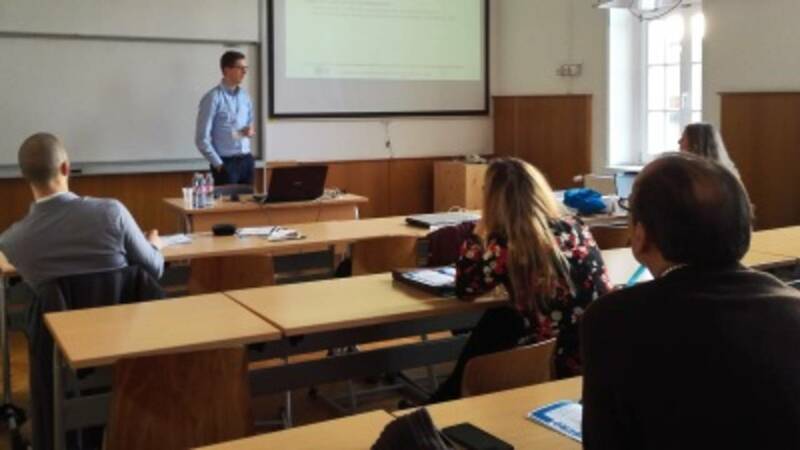 Jöran Wrana gave a lecture on "FDI Enterprises as Institutional Entrepreneurs in Vietnam". Dipl.Geogr. Franziska Sohns gave a lecture on "The economic livelihood and its influence on vulnerability to poverty of households in times of crisis – A regional comparison in rural Vietnam".